Katy is very proud of her pony Trifle and is sure that they will win lots of resettes together - just as soon as Trifle learns to behave at shows! Little does shw know that there are much bigger challenges in store for them. 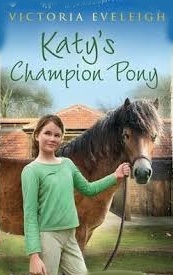 Will Katy and Trifle have what it takes to become true champions?